Access All Areas members have a best selling textures pack to download this week, courtesy of Trailhead Design Co. 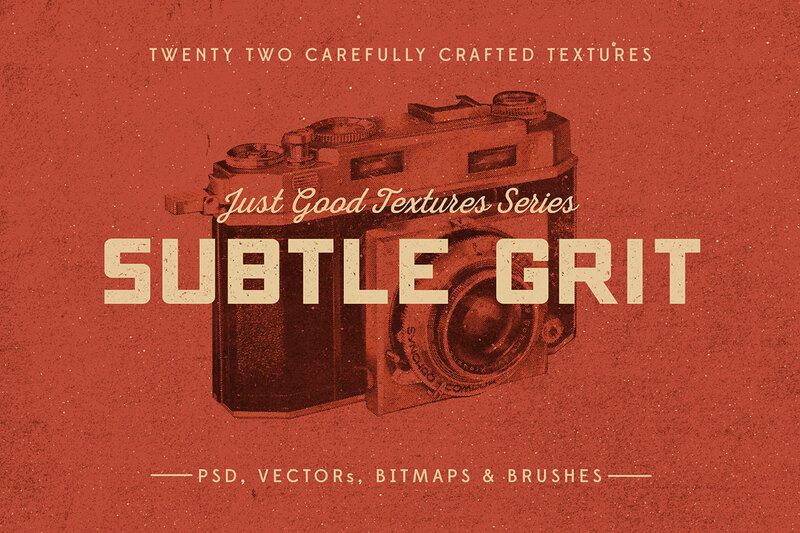 These 22 Subtle Grit textures feature an assortment of light grain, dirt and specs in a variety of useful formats. Choose between the Photoshop PSD with textures on transparent layers, Illustrator AI file containing scalable vector textures, individual Bitmap TIFF textures, and a Photoshop Brush set featuring each texture with faded edges for easy blending. Every texture in the Subtle Grit pack has been carefully crafted by hand for a uniquely authentic look. With so many file formats to choose from, they’re extremely versatile and compatible with both Photoshop and Illustrator. Use them within masks to erase your artwork, overlay them to create dirty surface effects, or layer up the textures to produce unique results every time! These look great! Thanks for sharing, Chris. And thanks for sharing/great work, Nathan! As ALWAYS, another fabulous share. Hope you have a lovely “Graphic” week-end. How cool is this! Thank you!